The Shantytown section is dedicated to District 9 gaming. Most minis are from the GZG range. 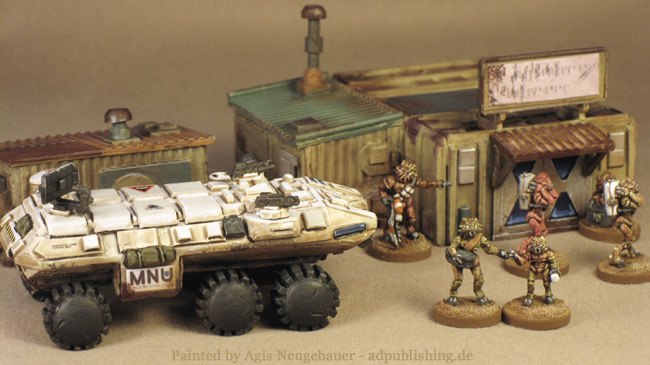 In fact right now everything is from there Crusty Aliens, their wheeled 15mm range (Phalanx 6-wheel hi-mobility Heavy APC) and Shack Set. More soon! 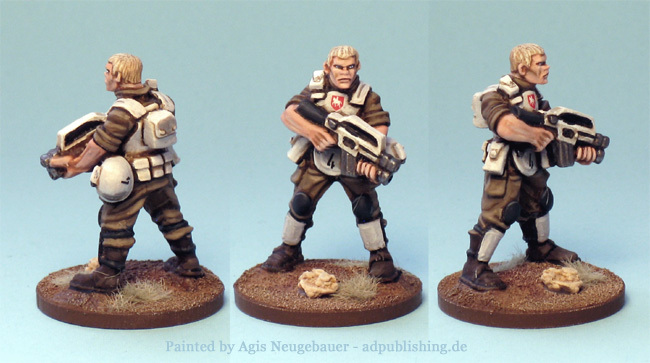 A suitable army lists and example army will be featured in my upcoming Future Combat ruleset. 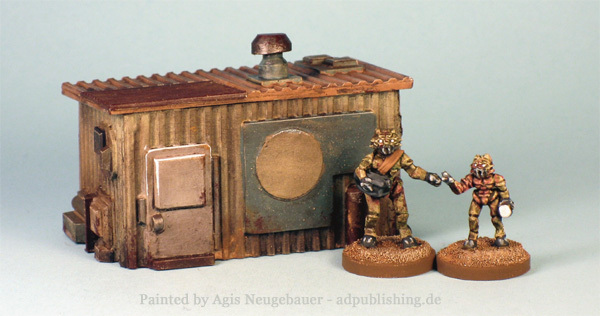 I am even tempted to give the setting a try in 28mm, the following minis are from Mark Copplestone’s Future War range. Painted in the MNU colours.